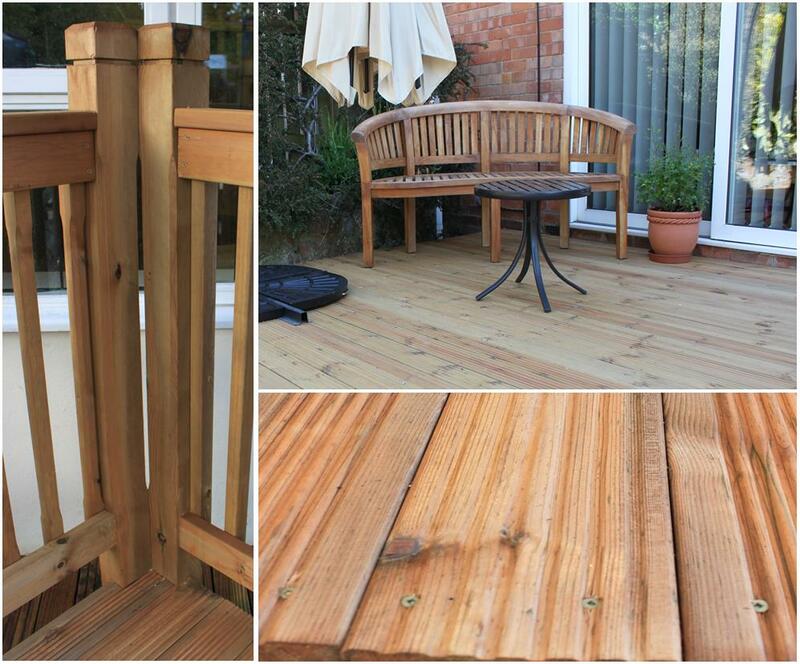 Timber Decking has been popular in the UK for many years and improves the look of a garden whatever the size. Available for collection or delivery throughout the South West, Brookridge Timber can supply your decking requirement to your door. Brookridge offers an ex 32mm x 125mm board in 3.6m and 4.8m lengths and these are available with anti slip inserts if required. 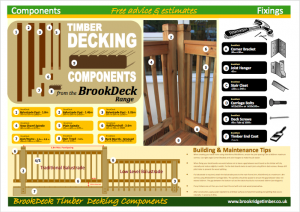 In addition to deck boards, Brookridge Timber also stocks all the components you require to complete your deck. The BrookDeck system is an easy follow kit and includes a variety of balustrade posts, spindles, stair tread and handrail depending on the end result you want to achieve. 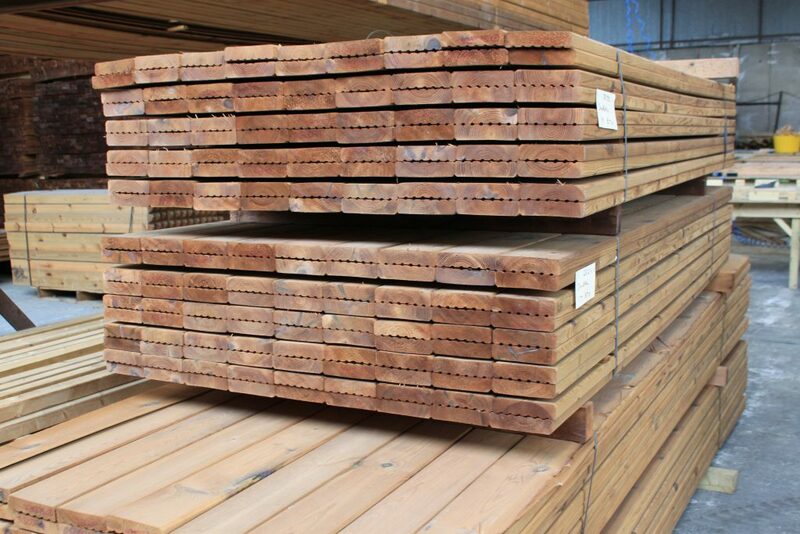 Brookridge can also supply all of the structural timber to build the sub-frame for your deck. By just supplying us with a few basic dimensions, we can design your deck and work out the components you will require. 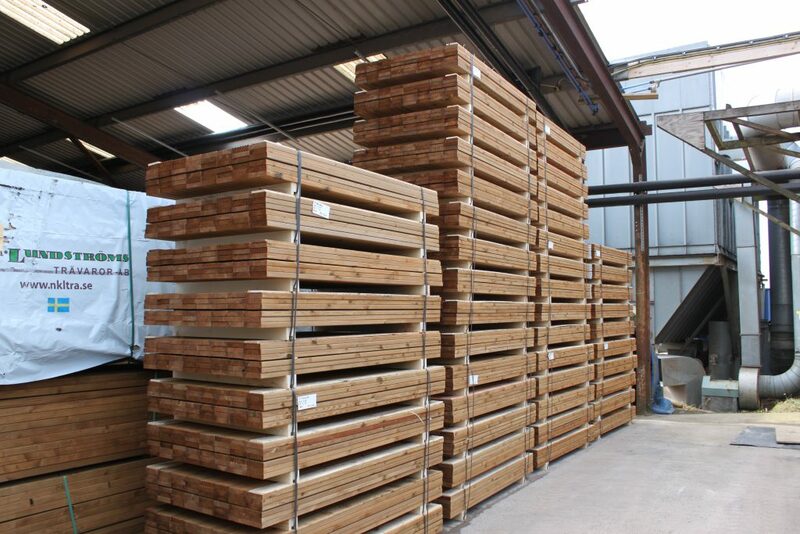 All of Brookridge Timber’s decking boards and components are treated with our unique Microshades high pressure treatment and they will arrive ready to install a beautiful golden brown colour. The Microshades pressure treatment will protect you deck boards and components from rot and insect attack for years to come and its patented pigmented colour system will ensure your deck will keep its colour longer than other pressure treated decking on the market. 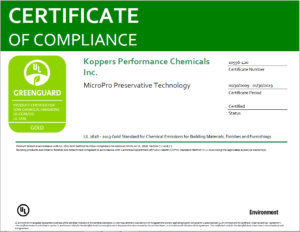 Additionally the Micronised high pressure treatment used on our decking boards and components has achieved Greenguard Certification. 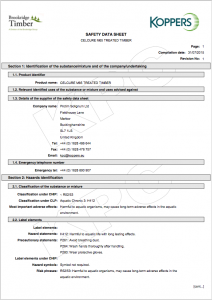 This means that it has met stringent standards for low VOC emissions making it suitable for use in sensitive environments. 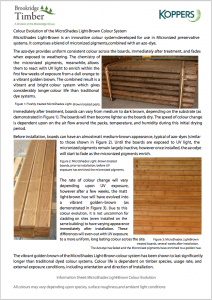 Please see the downloads below for more details on our decking boards, greenguard certification and the evolution on the Microshades colour.